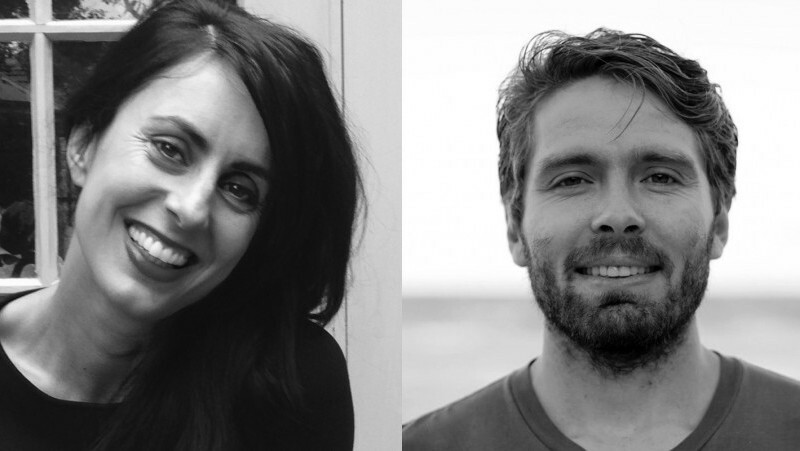 Two up-and-coming Northern Rivers Screen Producers, Poppy Walker and Darius Devas, have been selected to participate in Screenworks’ Regional Producer Elevator Program. The local producers were selected by a panel of highly regarded screen industry professionals, independent of Screenworks, through a very competitive selection process. The emerging producers will be placed with leading Australian production companies, as part of a multifaceted pilot program designed to elevate the careers of local producers and help overcome some of the barriers faced by regionally based screen industry professionals. “Screenworks will work together with some of the region’s senior producers to facilitate a unique local placement for these emerging producers, in addition to a one week attachment with one of Australia’s leading production companies. Production companies who have expressed interest in being a part of this program include Goalpost Pictures (The Sapphires), Jungleboys (The Moodys) and Essential Media (Rake)” explains Screenworks General Manager, Ken Crouch. Darius Devas (Being Films) is a multi award winning filmmaker with an interest in multi-platform storytelling. His previous production successes include the interactive documentary series for SBS, The Goa Hippy Tribe. Devas is currently developing a multi-platform documentary series The Afghan Connection about the incredible untold stories of hippies in Afghanistan during the 1970’s. In 2014 the project received a development grant from Screen Australia and was selected to participate at 2015 Power To The Pixel Market in London, for which he received an Advanced Development travel grant from Screen NSW. “Many of my projects have been realised in isolation. I am very committed to making things happen on my own, but I want to evolve that approach. I’m excited to have the opportunity to learn from highly seasoned professionals and to develop and grow my potential through this program”. Poppy Walker has produced short documentary films for major NGOs, including Oxfam, World Vision and the Fred Hollows Foundation, through her production company Propeller Pictures. Recently, she has partnered with writer/director Sophie Hexter to form the Bangalow-based company The H.W. Collective, to produce both narrative and documentary film. The emerging producers will also spend 20 days being mentored by a local senior producer and will travel with Screenworks staff to Melbourne later this month to attend the 2015 SPA Screen Forever Conference. Both producers will also be connected in with the prestigious Ones to Watch program at the conference, and will have the opportunity to meet with other producers, broadcasters and funding executives at the conference. Screenworks Regional Producer Elevator Program has been developed in close consultation with Screen NSW and Screen Producers Australia.